I have always been captivated by light and its impact on our surroundings. The way the same scene can vary from moment to moment with just the slightest fluctuation of light transforms a setting over and over again, keeping it fresh, renewed and alive. 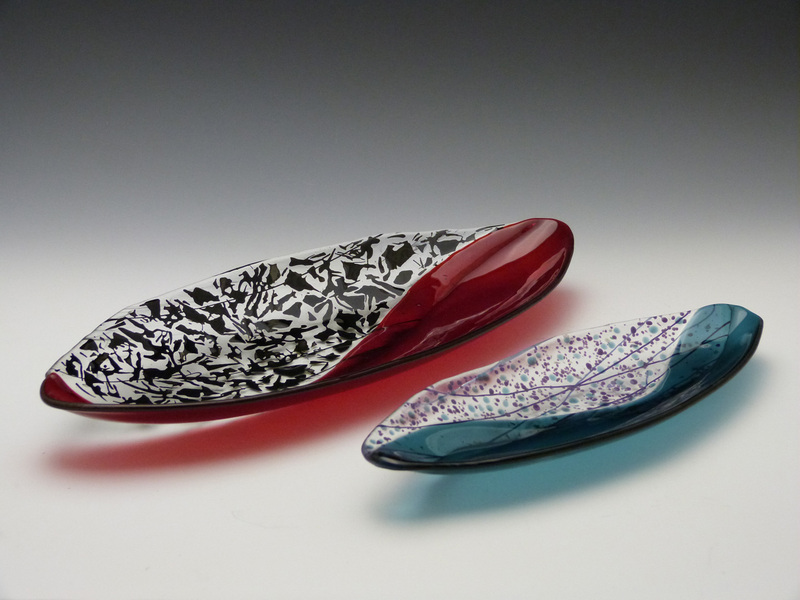 From this fascination, my love of glass was born. For me, glass is the perfect medium as it plays with light, capturing, reflecting and transmitting its radiance, and in the process, creating change. Nature, with its never ending pallet of subtle variances to brilliant color, provides my main source of inspiration, and plays an important role in my creative expression. 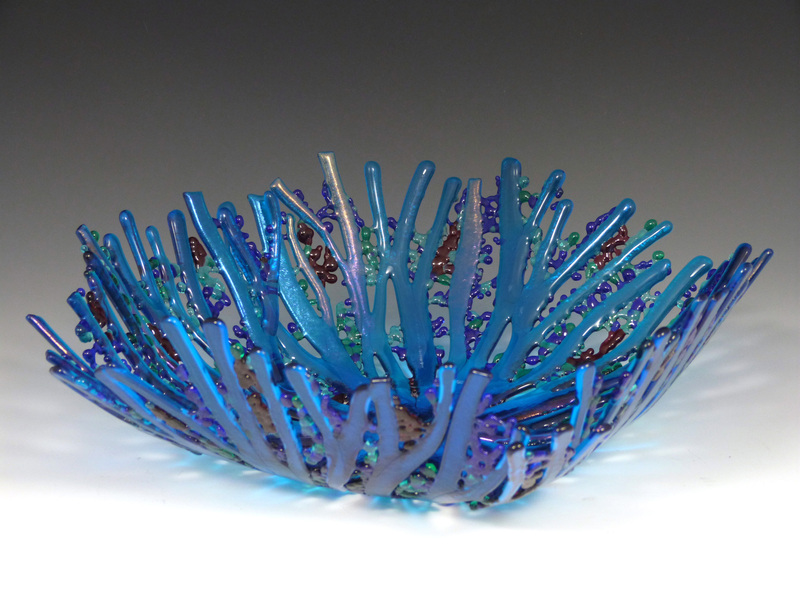 I like combining smooth glass with texture; transparent with opaque; mimicking the way light plays upon a landscape. Often, to achieve this goal takes many kiln firings at different temperatures, adding successive layers to achieve the final results. 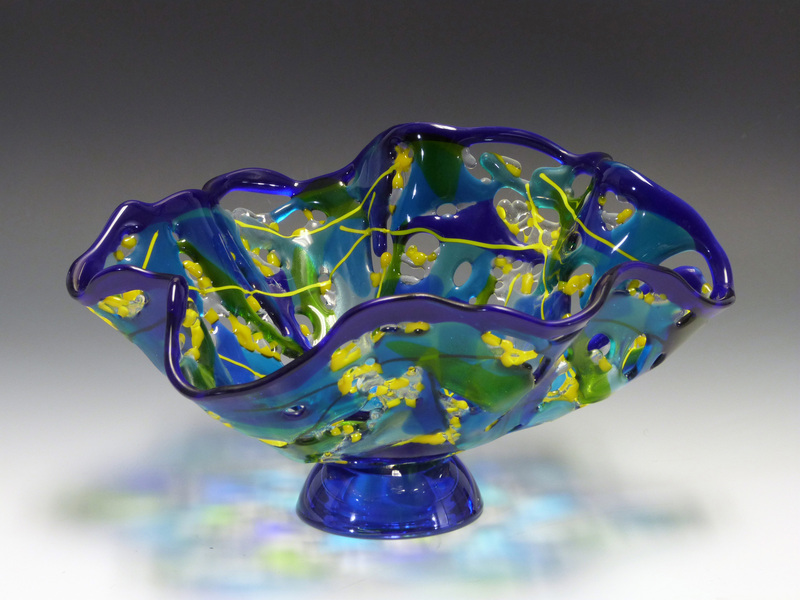 With the art of kiln formed glass expanding daily, and new techniques keeping it vibrant and exciting, there is no end to possibilities, which allows me to approach each new idea with eyes open to experimentation. I work with each piece until it begins to breathe and develop a spirit of its own, which in turn will be subject to each individual’s unique interpretation, once again, creating change.